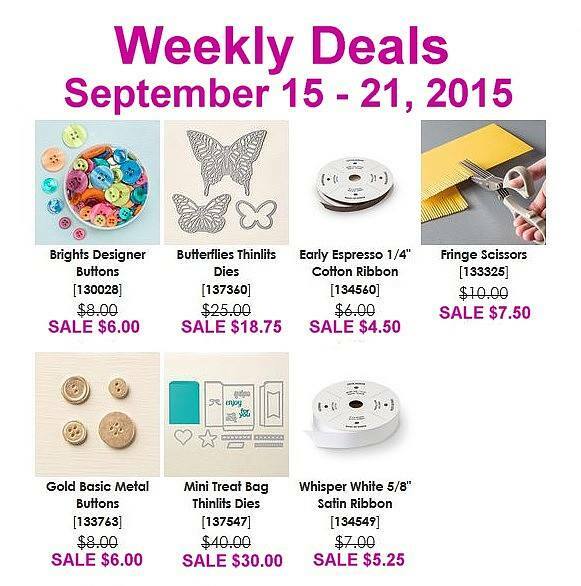 If you have been thinking of ordering some paper crafting supplies, now would be an awesome time! 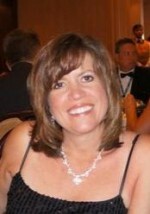 I am so very close to the 400k career sales award and am trying to reach it by September 30 to earn a substantial bonus! I’m just $2900 away from the goal and am desperately trying to reach it by the end of this month! Anyone who places a minimum $50 order between now and September 30 will receive a fun card kit in the mail from me, including a full package of an accessory! We’ve got some great weekly deals this week along with some steals in the Clearance Rack, and let’s not forget about the awesome new Holiday Catalog, chocked full of fun new products! I would be so very grateful if you would help me reach this goal! When you order, please use this host code: 7GFZCGTB. 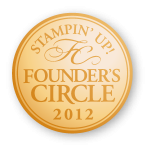 But, if your order is $150 or more, do NOT use the host code, so that you can earn Stampin’ Rewards! I mean what this sentiment says – I truly am so grateful for you! Thanks for your support of me and my business! 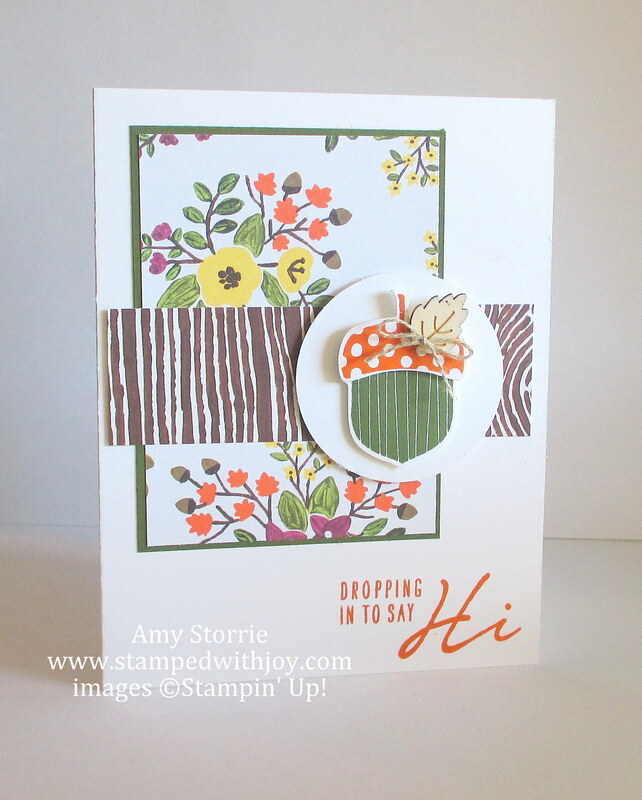 This is another card that I created using the Lighthearted Leaves stamp set. I just love the look of the leaves in that set. On this one, I embossed it with white embossing powder and then used Sponge Daubers to swipe on a rainbow of fall colors. I added a subtle wash of Daffodil Delight ink in the background on a piece of Shimmery White card stock using my Aqua Painter. And, those cute little dots in the background? Those are the White Perfect Accents. Woo Hoo!! Today is the day! 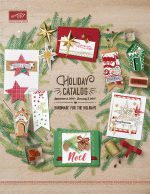 The first day you can order from the fabulous new Holiday Catalog! Did you get yours in the mail? If you don’t have a demonstrator and need a copy of the Holiday catalog, be sure and let me know and I’ll be happy to send one to you! It is full of some awesome new products! 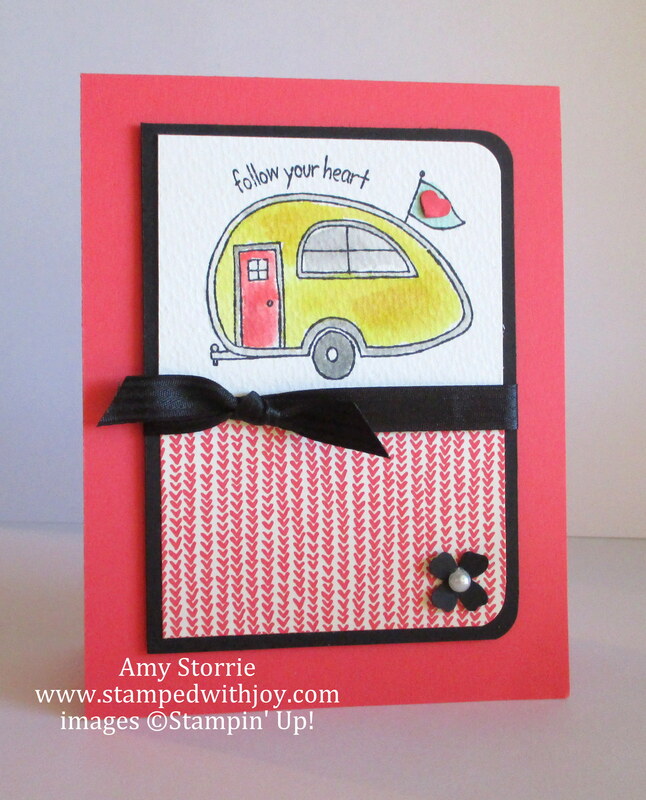 Here’s a card we’re making at my monthly stamping clubs this month. It uses the new Acorny Thank You stamp set and the Into the Woods Designer Series Paper. I love this cute stamp set and it has a coordinating punch for the acorn. You can order them together in a bundle and save 15%! And, notice the cute little wooden leaf at the top of the acorn? That’s the new Into the Woods Elements. So fun! Product Supply List – Click on the products to shop online! I’ve got a fun sneak peek for you today! 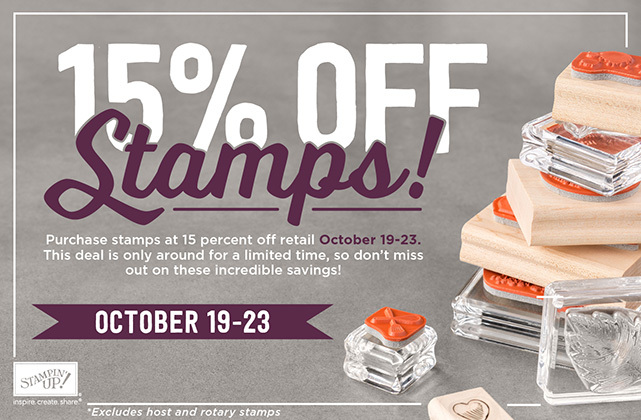 A look at one of the new stamp sets from the Holiday Catalog, which will be released on September 1! I got the inspiration for this layout from this week’s sketch challenge over at Freshly Made Sketches. I love the simple and clean look of this sketch. I added lots of fall color to it by using the new Into the Woods Designer Series Paper. Does anyone else immediately think of the Broadway musical, Into the Woods, when you hear the name of this paper? We’re a musical loving family, so that’s the first thing I thought of! The color on the leaf stamp was accomplished by embossing it with clear embossing powder on Whisper White card stock and then I used my sponge daubers to wipe a little color on with the Rich Razzleberry, Old Olive and Tangelo Twist ink pads. I cut out the leaf with the coordinating Leaflets framelits from the annual catalog and gave it dimension by sticking it down inside of the same cut out leaf from the whisper white card stock front. Product Supply List – Click on products to shop online! Hello! I hope you all have had a fabulous week! Last year I was asked to be a guest designer for an awesome challenge blog called As You See It Challenge. Well, today they are celebrating their 100th challenge! Woo hoo!! They’ve asked all of their past designers to design a project in celebration of this special occasion. I was thrilled to participate! I decided with this theme I could actually kill two birds with one stone. 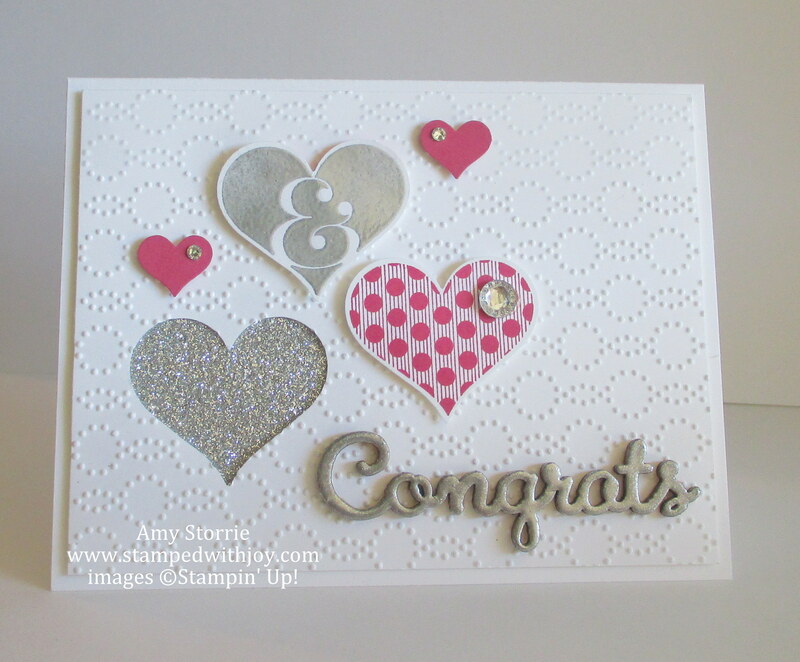 I was needing a wedding card for a special friend this weekend and I thought it would fit in great with the celebration theme of this challenge. 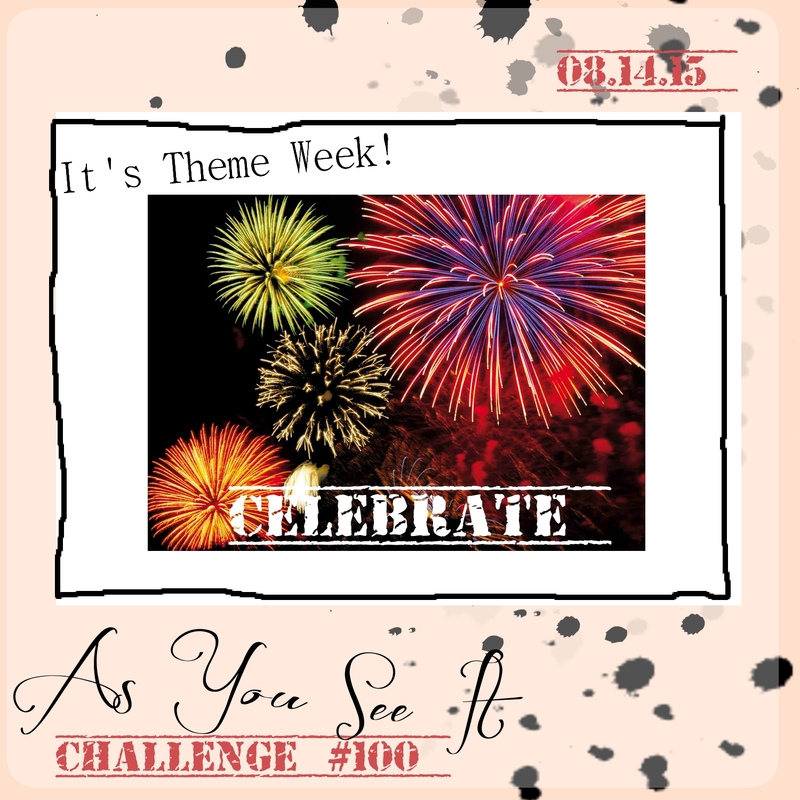 So, here’s a heartfelt congrats to As You See It Challenge for posting their 100th challenge! This was also one of my convention swap cards. The main reason I wanted this set is because of this adorable trailer! I just had to use it on a card! But I do love all the stamps in this set. I can’t seem to quit using this stamp from the Friendly Wishes stamp set. I just love the look of it! And, I saw a card on Pinterest one day where they had colored in some of the little hearts from this design in the Everyday Chic Designer Series Paper pack, which is all black and white designs. I really loved the idea of giving a little touch of color to this paper. 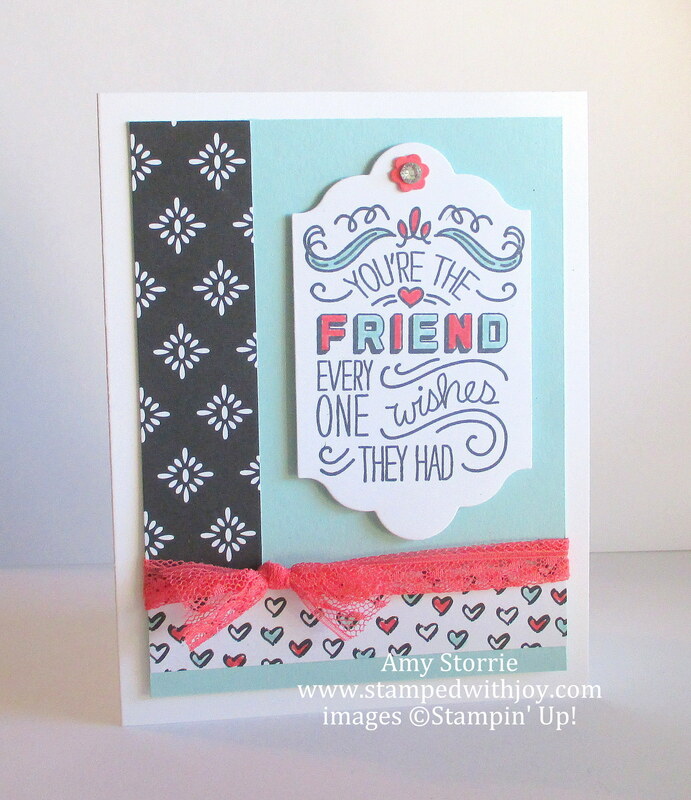 Anyway… back to stamping! I wanted to share with you two color versions of a card I copied from the catalog. Often when I am looking for project ideas I turn to the catalog samples because there are so many great ones in there. I typically will change it up a bit as I did this one – but not much. The card on page 129 (at the bottom) just jumped out at me and I know I wanted to create it. So, I used it for a club project in July and a convention swap. So much great use from one card design! The first one is Hello Honey and Smoky Slate and the second one is Watermelon Wonder and Smoky Slate. I really love both color combos! Each month a fully designed project kit arrives in a delightful box filled with stamps, ink, and paper-everything cut and ready to go so you can skip to the fun. Just think of it as creativity in a box. Now through September 10, first time subscribers can get 50% off their first two months! What a perfect time to try it out and see what you think. I’ve seen a sneak peek of the August and September kits and I promise you will love them! Be sure and subscribe by August 10th, to get the August kit. Use the promo code: HALFOFF. Take a look at the adorable kit we received in July! How would you like to make these 20 awesome cards? Well, you can! 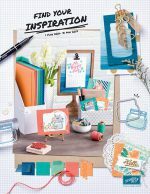 Place an order for the Hello Life Project Kit (137949), a package of Whisper White Note Cards with Envelopes (131527) and the Hello Life stamp set (137136) and use this hostess code: P6DDYPN2, and I’ll send you a tutorial with pictures and instructions to make these cards. Already have some of those items? Place any $50 order before shipping and tax (use hostess code P6DDYPN2) and I’ll email you the Hello Life tutorial for free!